DIRTY MAGIC CAN KILL YOU. After the grisly murder of a dirty magic coven leader, Kate Prospero and the MEA team must pitch in to help the police find the killer. When the initial evidence points to a rival coven as the culprit, the threat of a coven war looms over the investigation. But the case becomes even more complex when a tenacious reporter insists on sticking her nose in both the investigation and Prospero’s own past. But Prospero isn’t the only one whose old ghosts are coming back to haunt them. Newly minted mayor of Babylon, John Volos, as well as Prospero’s boss, Special Agent Miranda Gardner may have damning ties to the murderer. The team will have to use all the weapons in their arsenal to stop the coven war and find the killer before the case brings down all their careers. 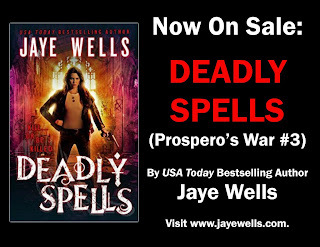 Jaye Wells is a USA Today-bestselling author of urban fantasy and speculative crime fiction. Raised by booksellers, she loved reading books from a very young age. That gateway drug eventually led to a full-blown writing addiction. 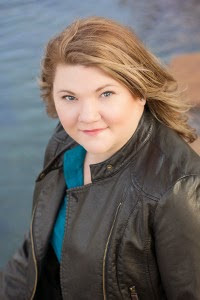 When she’s not chasing the word dragon, she loves to travel, drink good bourbon and do things that scare her so she can put them in her books. Jaye lives in Texas.